Local surroundings can tell us a lot about how people live. They show us where people work and go to school, where they shop, how they travel and how they spend their leisure time. So let’s go exploring! 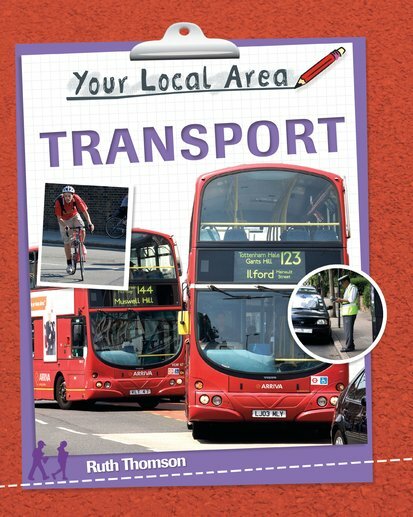 In this book you’ll snoop around the transport routes of different neighbourhoods, hunting for clues about the folk who live nearby. You’ll ride on buses and trams, check out walking and cycling routes, and try to spot planes and passenger ferries. Plus, you’ll think about how people travelled around in the past. All in a colourful book full of facts, questions and ideas for surveys and projects to do.